TigerStop’s new TigerSaw1000 system puts the power in your hands. Don’t be a slave to your lumber supplier. Start optimizing and defecting your raw materials yourself, in turn allowing you to process lower grade lumber while reaping the benefits of the same or better quality. Handling lower grade boards with more defects is normal time-consuming and frustrating for any operator. Now TigerSaw1000 makes it as easy as using high grades, all the while getting the same yield. Easily mark your board for multi-grade cutting and place it in the loading position. 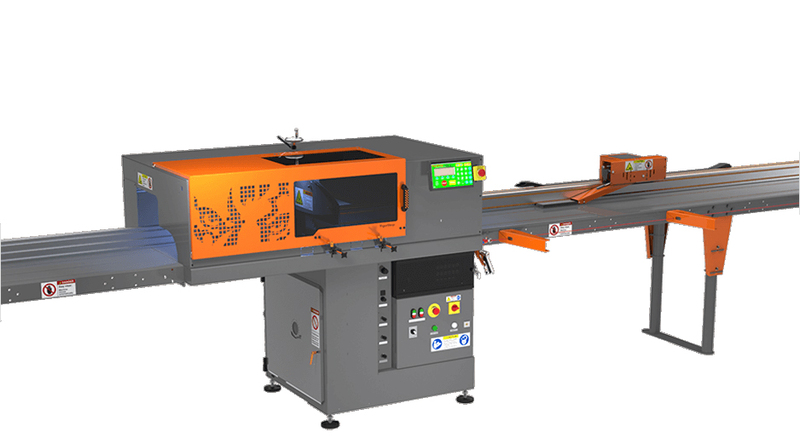 TigerSaw1000 does the rest, over-scanning the board, cutting your parts and giving you the highest yield. Even if you stay with your high grade materials, you will experience an exceptional increase in yield using the TigerSaw1000. Compressed Air Requires 80PSI (5.5 Bars) at 5 CFM (0.17 M3) Air filtered to 2.5 microns (oil and moisture free). Use industrial air dryer, rated for CFM (CM) flow. No lubrication required for air components. Air must be lubricant free. Note: Use of lubrication may void warranty.